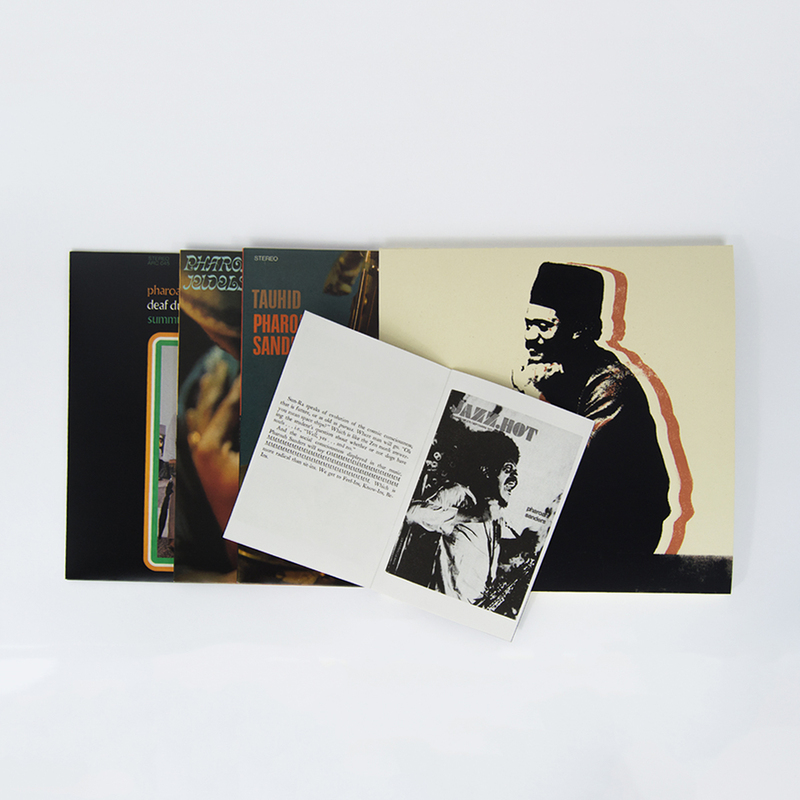 Anthology Recordings announces the reissue of 3 of Pharoah Sanders' significant albums: 'Tauhid', 'Jewels of Thought' and 'Summun Bukmun Umyun (Deaf Dumb Blind)'. The records are available exclusively in vinyl format, and will be released on November 10, just one day before Sanders' performance at Le Guess Who? 2017. A limited edition deluxe box set includes all three LPs and and a 16-page zine, housed in O-Card, hand-assembled and screen-printed by Keegan Cooke. More info/pre-order here. Pharoah Sanders performs at Le Guess Who? 2017 on Saturday, 11 November. Also performing at the festival are a.o. Sun Ra Arkestra, Shabaka & The Ancestors, Linda Sharrock, Maâlem Houssam Guinia & Band, and The Ecstatic Music of Alice Coltrane Turiyasangitananda performed by the Sai Anantam Ashram Singers.